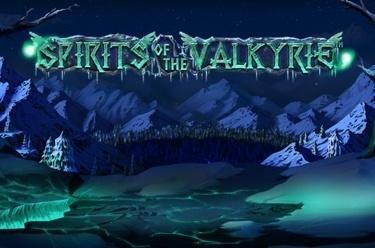 Play Spirits of the Valkyrie™ online for free now! Spirits of the Valkyrie™, a slot with 20 win lines on 5 reels, is all about the valkyries from Norse mythology. You score the highest Twist winnings with the Wild symbol, the Book. 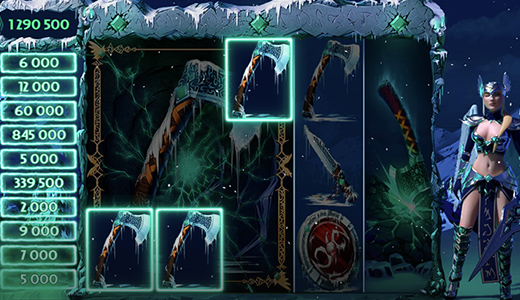 Your aim with Spirits of the Valkyrie™ is to land connected winning combos that can differ depending on the type of symbols. With Hammer, Shield or WILD symbols 2 matching connected symbols on a win line suffice, for all other symbols 3 symbols are required. Winning symbols run from left to right along the reels. During free games winnings also pay from right to left. The WILD Book can substitute for any other symbol (except for Scatter symbols) to land you winnings. If it lands repeatedly winnings increase substantially. During the main game the Valkyrie (visible to the right of the reels) can trigger one of 4 extra features and increase your winning chances. Moreover, look out for Diamonds with Wings. These symbols may trigger Bonuses as well as free spins and appear on reels 1, 3 and 5. Collossal Magic: Huge symbols appear that might cover entire reels. Blade of Fury: One or more WILD symbols drop onto the reels. Ice Blade: The Valkyrie cuts symbols from reel 5 and spreads them horizontally across all other reels. Shockwave Slash: In case of winnings more winning symbols are added. Each of these upgrades is a win on its own. All winnings have an influence on the meter to the left of the reels. If the meter is full the winning value visible for the longest period of time disappears and is replaced by the most recently achieved winning value. If Bonus winnings are paid (for the Win Stack Bonus the Bonus symbol, the Green Arrow, lights up twice and the Win Stack Bonus symbol lights up once) the total meter value of your ten recent winnings counts. The special thing about it: Even if you exit the game the meter remains unchanged and you can continue at a later date with the same meter status! You can earn 10 free spins in total with Bonus symbols on reels 1, 3 or 5! Winnings can then be earned from left to right and from right to left. After the free spins have ended your winnings are also added to the meter (see Win Stack Bonus). During free games no more free spins can be triggered. Both can be triggered simultaneously. Free games are played first and the Win Stack Bonus is paid afterwards. The winnings of the Win Stack Bonus are not credited to the Win Stack. Several Bonuses can be won in each Bonus game. Embark on an adventure to the mystical past of the north where brave warriors from Allfather Odin's entourage were revered. Will they lead you to the mysterious Valhalla after your glorious spin venture in Spirits of the Valkyrie™?